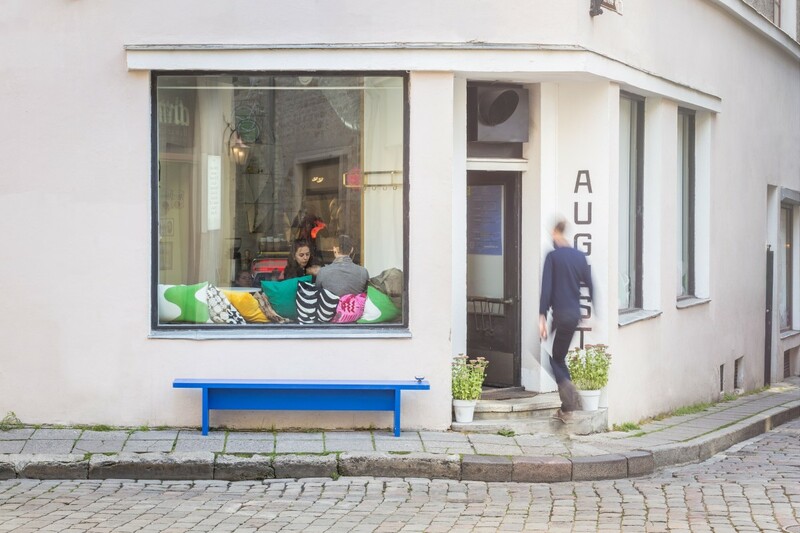 In Estonia’s capital Tallinn, on the corner of Müürivahe and Väike-Karja streets, in the old August Abram-Aarma’s textile manufactury a wonderful place for having a meal, enjoying coffee or listening to good music has moved in – the cafeteria August. 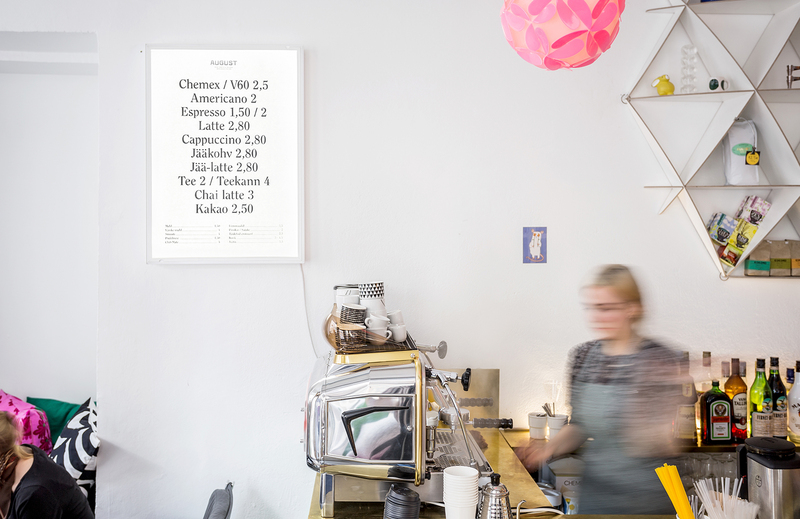 The space is refreshingly eclectic and the athmosphere is casual and comfy. Despite the tiny space, August always houses a lot of visitants. All the window sills and the “wall-caves” are in use to seat even more people. There’s also a miniature upper floor just by the cake-fridge with some more places for quests. 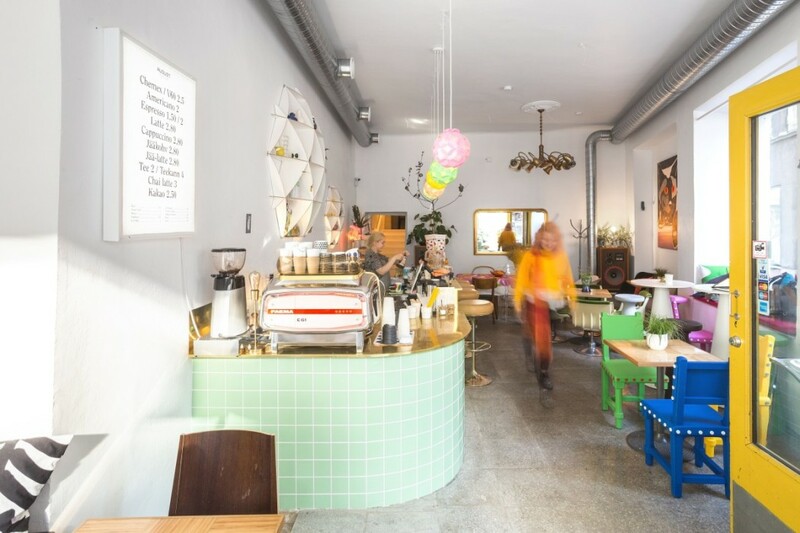 The choice of furniture is super-eclectic and goes from “retro” to 21th century kitsch: the vintage bar chairs are accompanied by colorful plastic chairs and behind the counter you can even spot some contemporary Estonian design furniture. 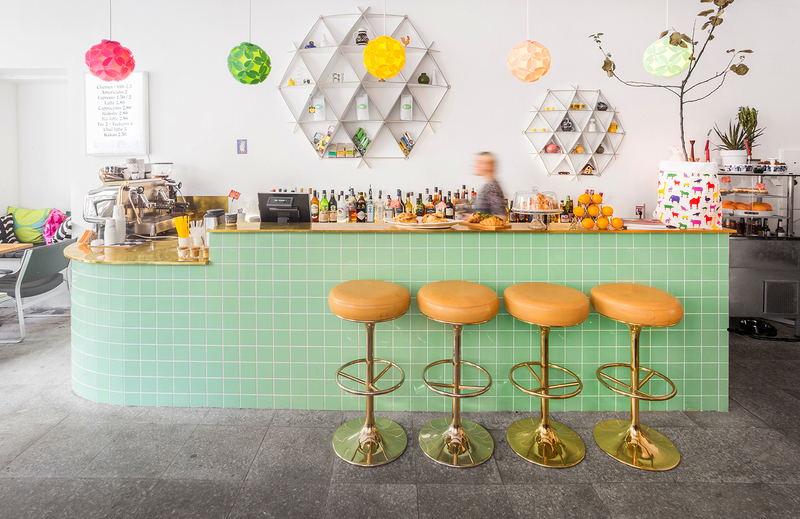 The colorful cushions, the graphic dishes, the flowery luminaires – all the colors, details and patterns used for decoration are bold and recognizable. The eclectically over-the-top interior has a positive and fun effect to it and the “randomness” feels first and foremost refreshing. The graphic design is modern and at the same time classical. There are two color combinations used, one ise more minimalistic and contemporary, black letters on white background, and the other is more distinguished and with more of a vintage or historic vibe, golden letters on aqvamarine background. 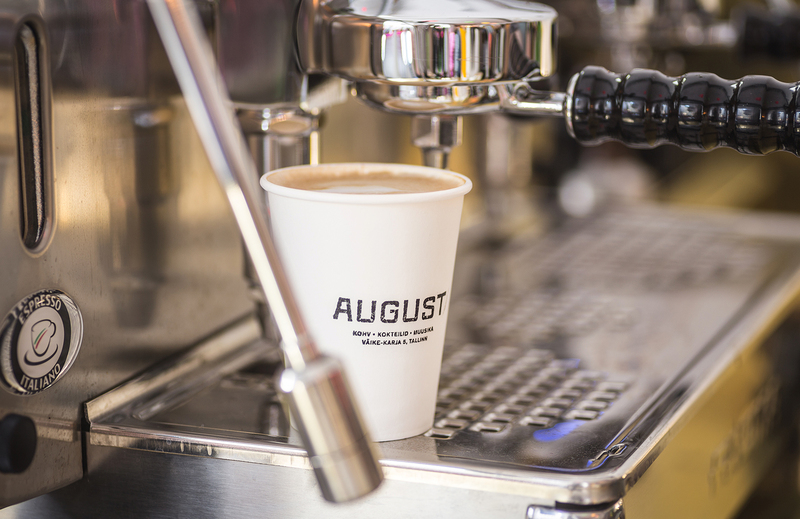 The branding of August is another great project from design agency AKU, it is fresh, neat and qualitative and we like it a lot. 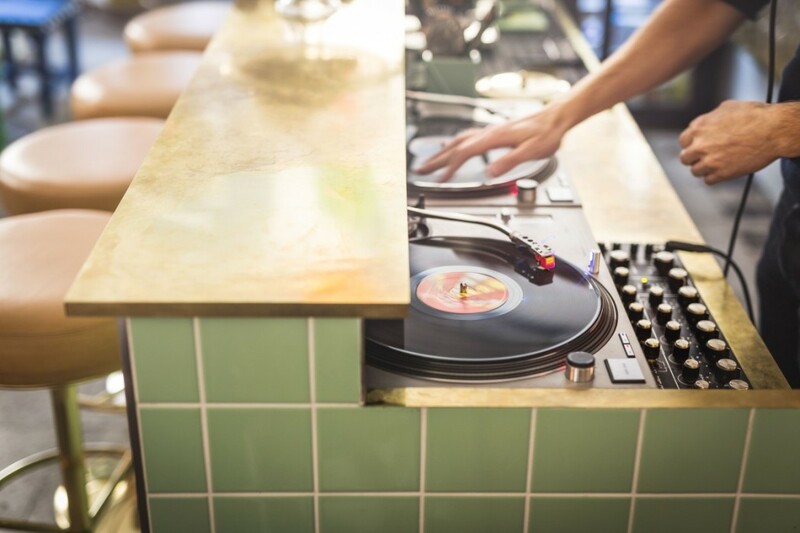 Morning-coffee and a delicious cake, the brunch on weekend or a cocktail on Friday night – the choice is your’s, go check out the August!